Our activities and attractions pages are currently under construction. If you'd like to suggest a new entry, contact us. 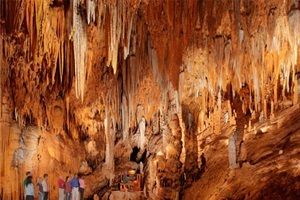 Visitors by the millions have made Luray Caverns the most popular caverns in Eastern America. Guided tours along well-lighted, paved walkways lead visitors through cathedral-sized rooms with ceilings 10-stories high, towering stone formations, and natural wonders at every turn.